New fines for false-alarm emergency calls have brought in $ 690,000 to the Halifax Regional Municipality in less than a year, but haven't reduced the unwarranted calls coming in. Halifax Regional Fire and Emergency said the biggest source of those false alarms is apartment buildings. And landlords say it's cheaper to pay the fine than fix the source of the problem — fire alarm systems that go off when they're not supposed to. "Certainly paying a fine would be a lot less expensive than tearing out a fire system. I mean, at least the fire system is working according to code," said Kevin Russell, the executive director of the Investment Property Owners Association of Nova Scotia. Landlords can be diligent about fire safety and meet the fire code, but still hear alarms activating when they shouldn't. 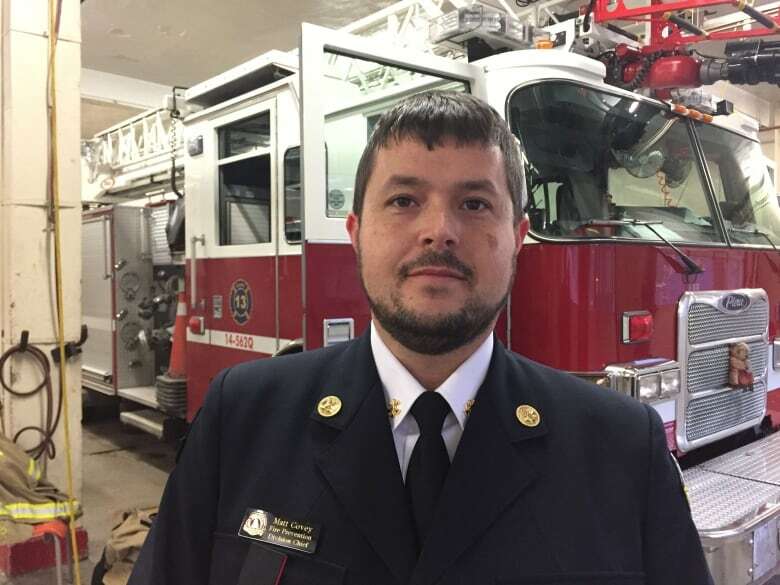 Matt Covey, the division chief of fire prevention for Halifax Regional Fire and Emergency, wants landlords to replace their old fire-alarm systems with more accurate ones. Russell didn't think that would happen. "I think the only time that a landlord in an older building would replace a fire system [is if] they were doing a major renovation and of course that would come under a new building code, or fire code," said Russell. The new fees for false alarms went into effect on Aug. 1, 2017. The first false alarm call is free, the second costs $ 200, the third is $ 300 and the fourth and all subsequent false alarms cost $ 500. Before the new fees came in, the municipality only collected $ 295,000 in false alarm fees. The extra money this year is being used to cover the costs of sending firefighters and other emergency workers out to false alarm calls. Despite the increase in fees there hasn't been any reduction in the number of false alarms coming in, said Covey. 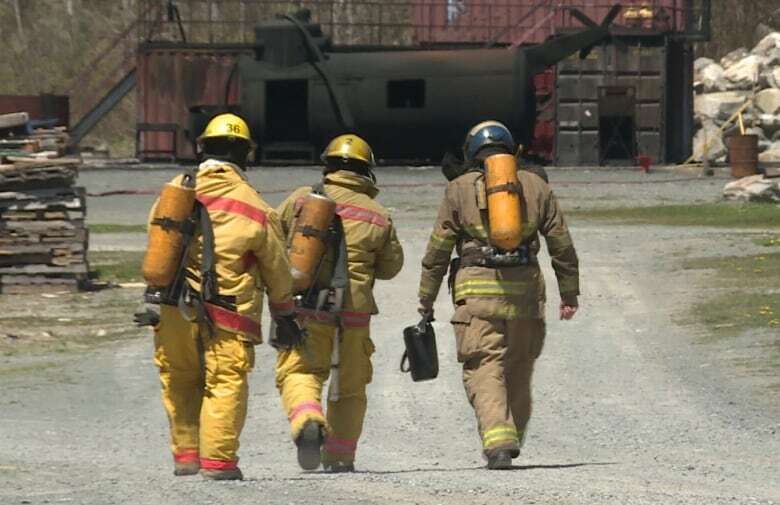 Before the new fees Halifax Fire and Emergency would get about 3,200 false alarm calls a year, and it's on track to be that high again this year. "It's very difficult to create that deterrent because some of these alarms are automatically set off by different events that wouldn't be considered an emergency scene. You know the burned toast kind of scenario, sets off your smoke alarm which then if you have a monitored system you know is notifying the fire department immediately," said Covey. He said building owners and homeowners could prevent false alarms by replacing their old ionization smoke detectors with a new photoelectric system. Ionization smoke detectors can mistake steam, or burned food, for a fire and go off. The detectors can also be triggered if they're dirty and humidity is high. Photoelectric smoke detectors only activate when smoke is present. But swapping out an apartment building's fire alarm system could cost a $ 1 million or more, said Russell. Covey thinks it would be worth the money to cut down on the number of false alarm calls. So does Peter Hallinan, the executive director of the Canadian Fire Alarm Association and a volunteer firefighter. The fire alarm association is a non-profit organization based out of Ontario that trains fire-alarm technicians to operate, repair and install fire alarm systems. Hallinan said false alarms put people's lives at risk. "You're going to be sending on average three to four trucks that are now racing through your city streets," he said. "So you've got 12, 14, 16, guys riding those trucks, so you're risking their lives because they don't know the difference. And conversely you're putting other members of your population at risk because those trucks are now out of service they cannot respond to another call until they clear that call, they do the full investigation." In his experience most false fire alarm calls come from burned food or old poorly maintained fire alarm systems. "It's like everything else it's got a life cycle. Fire alarm systems are basically computers; do you have a desktop computer that's 15 or 20 years old sitting on your desk?" Covey hopes landlords will gradually replace their fire alarm systems with the more accurate photoelectric detectors. Any landlord or homeowner who wants to advice on how to prevent false alarms is welcome to call the fire department, said Covey. Some landlords plan to appeal false-alarm fees that they feel aren't valid, like when an alarm goes off because of a lighting strike or a mechanical failure. "There is a diligent follow up by landlords in appealing all fire alarm tickets. We file our appeals under the criteria set out by Halifax fire and I think for most they are successful," said Russell.